Whoa! After getting all the paintings done there are all those final details to complete! Varnish, wires, labels and in this case – packing and shipping! 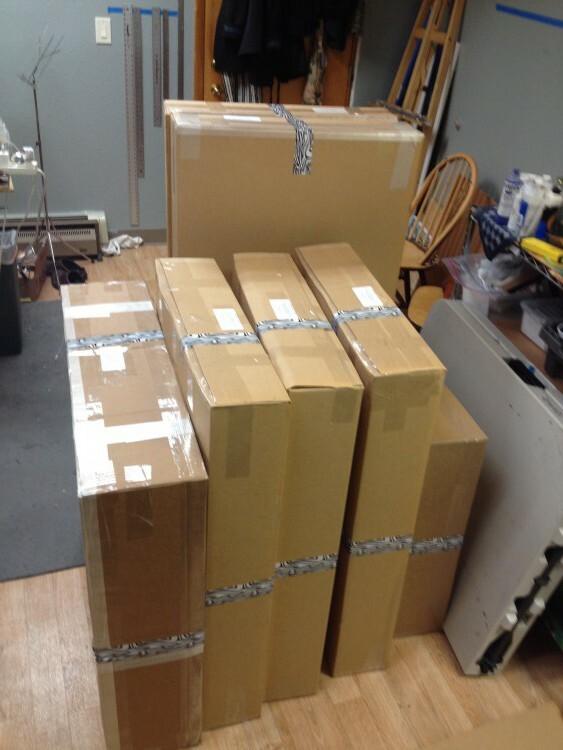 Here are my 7 boxes ready to be delivered to Alaska Airlines Freight in Juneau. I have the zebra stripes and Constance’s 8 boxes have pink polka dots so our boxes are easy to tell apart. Then in Anchorage we will have them delivered to APU on Monday or Tuesday. We will be following the boxes on Wednesday to get the paintings hung in our respective galleries on time for the Friday opening! March 6th at APU!